Home>New Songs>Lil Uzi Vert Songs> Lil Uzi Vert Links With Up-And-Comers Lil Gotit & Lil Keed In "Heavy Metal"
For the better part of the last few months, we've been bracing ourselves for some news regarding Lil Uzi Vert's next project. There's a lot of secrecy surrounding Eternal Atake, which was rumored to release weeks ago, but we have yet to receive the album. The Philadelphia artist used imagery from the Heaven's Gate cult, leading to their representatives threatening to take legal action, so it's unclear whether the artwork will be altered. Uzi fans got a nice surprise when "New Patek" was released and now, they get to hear his new collaboration with two of Atlanta's budding young stars. Lil Keed and Lil Gotit have been making noise out of ATL, collaborating with some of the biggest names in the business. Keed got a head start by working closely with Young Thug but Gotit is quickly closing in on his big brother, dropping "Superstar" with Gunna last week. This time, the two siblings have joined forces with Lil Uzi Vert to embrace their heavy metal influences. It's unclear whether or not "Heavy Metal" is intended for Eternal Atake or if it's just a loosie but it randomly appeared on Gotit's SoundCloud a few hours ago. What do you think of the new song? 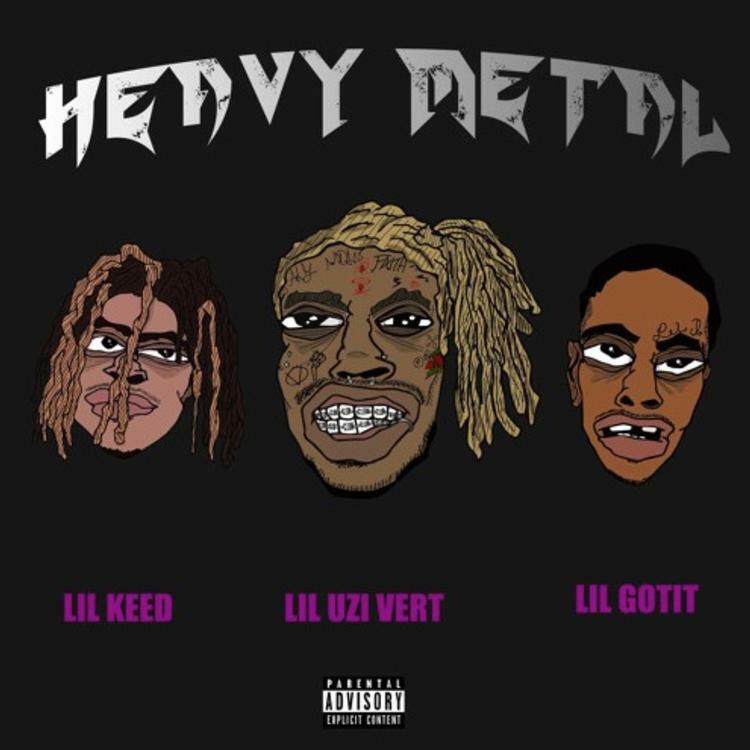 SONGS Lil Uzi Vert Links With Up-And-Comers Lil Gotit & Lil Keed In "Heavy Metal"